When common issues such as gingivitis, excessive tobacco use and periodontal diseases become severe, tooth loss may occur. At Adult & Pediatric Dental Care in Coldwater, we are proud to offer dental implants as one of the safest, smartest and most cost-effective solutions for tooth loss. Dental implants are tiny titanium posts that act as miniature tooth roots, which are installed into the jawbone beneath your gums. 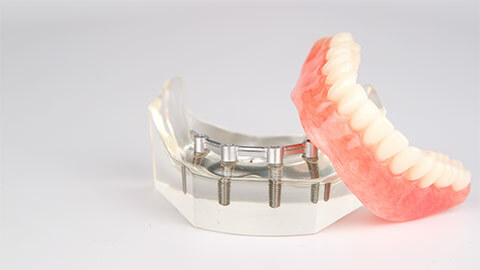 Dental implants stabilize, support and secure dental bridges, individual artificial teeth and dentures. Because they are durable and lightweight, they are comfortable and painless. Dental implants are ideal for patients with gums that are free of periodontal disease, and who have enough bone beneath the gums to support the implant. 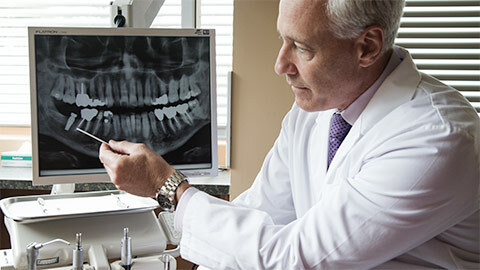 The dental implant application process can take as few as two or three dentist appointments. First, we examine your teeth thoroughly so that we can provide the most optimal implant solution. Then we place the implant into the bone socket of the missing tooth. The subsequent healing process takes several weeks, during which the implant will seamlessly bond to the bone. Mini Implants are used in cases when a patient does not have enough bone or support for regular implants. Like regular implants, mini implants are anchored into your jawbone, with small heads that secure dentures and bridges in place. Mini implants don’t involve a lengthy healing period, and can be applied in a single visit in the comfort of our Coldwater office. Dental and mini implants are an optimum solution for missing teeth, because they are durable and versatile. They also require less follow-up visits to the dentist, making them a smart and cost-effective solution. Let us be your source for dental implants in Coldwater. If you need more information about Dental Implants in Coldwater, contact us today.